I played Scottish Border bagpipes, tenor mandola, and whistles with Celtic band Skweez The Weezle tonight for the First Night Tri-Cities 2014 celebration at Three Rivers Convention Center in Kennewick, Washington. I played Going Home and Highland Cathedral on the Scottish Highland bagpipes this morning for the memorial of Raymond Carney at the Memories at Sunset Event Center in Richland, Washington. The Green Hills of Tyrol, Amazing Grace, and The Rakes of Mallow followed during the graveside service at Einan’s Sunset Memorial Gardens, also in Richland. MacNeil of Barra was the tartan of the day. I played Amazing Grace and Danny Boy on the Scottish Highland bagpipes this afternoon for Robert Stohr’s interment of ashes service at Calvary Cemetery in Yakima, Washington. MacNeil of Barra was the tartan of the day. It was my honor to play Amazing Grace and Taps on the Scottish Highland bagpipes for the Fallen Firefighters Memorial this morning during the Washington Fire Commissioners Association Annual Conference in Pasco, Washington. MacNeil of Barra was the tartan of the day. I played Amazing Grace on the Scottish Highland bagpipes for a graveside service this afternoon at City View Cemetery in Pasco, Washington. MacNeil of Barra was the tartan of the day. 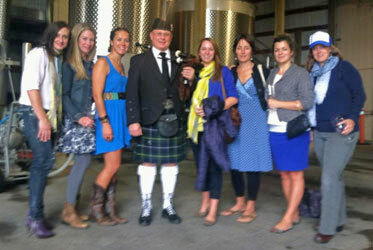 Wearing the MacNeil of Barra tartan, I played Scottish Highland bagpipes today for Katie’s surprise birthday gathering at Dunham Cellars in Walla Walla, Washington. Jigs, reels, and traditional marches were the order for the day, with a request from Katie for The Flower of Scotland (several times). 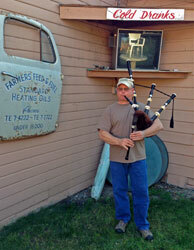 I played Scottish Highland bagpipes this evening for some -Cold Dranks- in the beer garden at the 1885 Bar & Grill during Sportsman’s Days in Naches, Washington. Jigs, reels, and up tempo marches were well received by the patrons and passers by. I played the Scottish Highland bagpipes this afternoon for Dr. Rod MacKintosh’s memorial service at St. Michael’s Episcopal Church in Yakima, Washington. 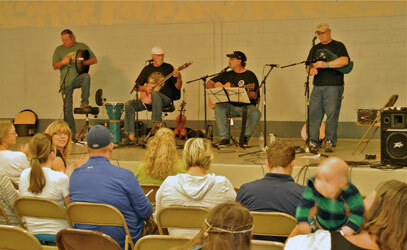 A selection of tunes was played for the prelude. These Are My Mountains and Amazing Grace were played during the service. Scotland The Brave and Send In The Clowns were played for the postlude. MacNeil of Barra was the tartan of the day. 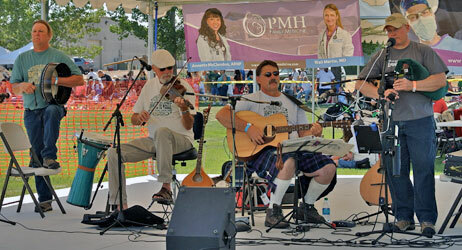 I played Scottish Border bagpipes, tenor mandola, and whistles this weekend with Skweez The Weezle at the 17th annual Tumbleweed Music Festival in Richland, Washington. 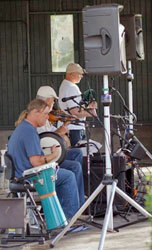 I played Scottish Border bagpipes, tenor mandola, and whistles this weekend with Skweez The Weezle at the 6th annual Eastern Oregon Celtic Festival and Highland Games in LaGrande, Oregon. I played the Scottish Highland bagpipes this afternoon for Nancy Kent’s graveside service at Sunset Memorial Gardens in Richland, Washington. MacNeil of Barra was the tartan of the day. I played Scottish Border bagpipes, tenor mandola, and whistles this evening with Skweez The Weezle at the Walla Walla Downtown Summer Concert Series on Main St in Walla Walla, Washington. I played Scottish Border bagpipes, tenor mandola, and whistles this evening with Skweez The Weezle at the 31st annual Yakima Folklife Festival in Yakima, Washington. We played at 5 North on N Front St. I played Scottish Border bagpipes, tenor mandola, and whistles this evening with Skweez The Weezle at the 31st annual Yakima Folklife Festival in Yakima, Washington. We played at Bob’s Keg and Cork on N Front St. I played Scottish Border bagpipes, tenor mandola, and whistles this evening with Skweez The Weezle at the Tri-City Dust Devils pre-game Funtainment show at GESA Stadium in Pasco, Washington. I played Scottish Border bagpipes, tenor mandola, and whistles this evening with Skweez The Weezle at the Summer Music in the Parks concert series in Boardman, Oregon. I played Scottish Border bagpipes, tenor mandola, and whistles today with Skweez The Weezle at the 13th annual Prosser Scottish Fest and Highland Games in Prosser, Washington. I played the Scottish Highland bagpipes this afternoon for Katherine Gempler’s memorial at First Presbyterian Church in Yakima, Washington. MacNeil of Barra was the tartan of the day. 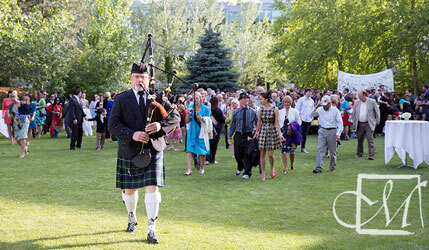 Wearing the MacNeil of Barra tartan, I played Scottish Highland bagpipes today for Erin and Don’s wedding on the beautiful campus of Whitman College in Walla Walla, Washington. A series of 4/4 marches were in order as I led the guests from the ceremony at the Reid Campus Center down Boyer Avenue to the reception at the Baker Faculty Center. 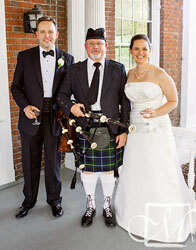 Jigs and reels were played for guests as the reception got started. 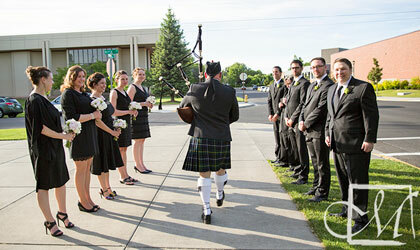 Wedding photos by Melissa McFadden Photography of Walla Walla, WA. 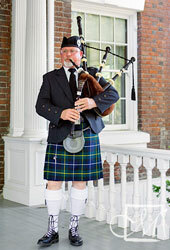 I played Scottish Highland bagpipes today for Mike Dunham’s memorial gathering at Dunham Cellars in Walla Walla, Washington. MacNeil of Barra was the tartan of the day. It was my honor to play the Scottish Highland bagpipes for the Fallen Firefighters Memorial this evening during the Washington Fire Chiefs 81st Conference in Yakima, Washington. MacNeil of Barra was the tartan of the day. I played Scottish smallpipes, tenor mandola, and whistle with Skweez The Weezle this afternoon at the 43rd annual Whitman College Renaissance Faire in Walla Walla, Washington. I had fun playing the Scottish Highland bagpipes at the Prosser Scottish Fest volunteers’ ceilidh, hosted by the fest organizing committee at Horse Heaven Hills Brewery in Prosser, Washington. I played the Scottish Highland bagpipes this afternoon for Leonard Hemphill’s graveside service at Terrace Heights Memorial Park in Yakima, Washington. MacNeil of Barra was the tartan of the day. 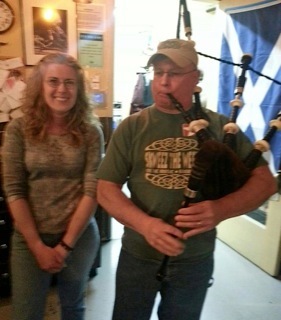 I played Scottish Highland bagpipes and Scottish Border bagpipes, tenor mandola, and whistles with Skweez The Weezle this evening for a big Tartan Day celebration at the 1885 Bar & Grill in Naches, Washington. I played Scottish smallpipes, tenor mandola, and whistles with Skweez The Weezle this evening for the good folks at the Riverton Retirement & Assisted Living Community in Richland, Washington. This was for their St. Patrick’s Day celebration. I played Scottish Border bagpipes, tenor mandola, and whistles with Skweez The Weezle this evening at the Towne Crier’s St. Patrick’s Day Bash in Richland, Washington. I played Scottish Border bagpipes, tenor mandola, and whistles with Skweez The Weezle this evening at the Three Rivers Folklife Society March concert in Pasco, Washington. 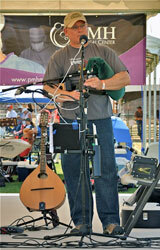 I played Scottish smallpipes, tenor mandola, and whistles with Skweez The Weezle this afternoon at the 1st annual Encounter 2013: A Place for Us at the Three Rivers Convention Center in Kennewick, Washington. I played Scottish smallpipes, tenor mandola, and whistles with Skweez The Weezle this evening for the good folks at the Royal Columbian Retirement Inn in Kennewick, Washington. This was for their annual St. Patrick’s Day celebration. I played Scottish smallpipes, tenor mandola, and whistles with Skweez The Weezle this evening for the good folks at the Tri-Cities Retirement Inn in Pasco, Washington. This was for their annual St. Patrick’s Day celebration. I played the Scottish Highland bagpipes this afternoon for Dane Anderson’s Eagle Scout induction ceremony at West Side Church in Richland, Washington. 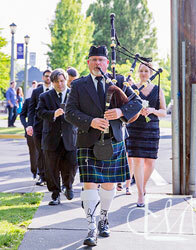 Processional tune was Scotland The Brave. Recessional tune was Minstral Boy. MacNeil of Barra was the tartan of the day. I played the Scottish Highland bagpipes this afternoon for Robert Erskine’s memorial service at Keith and Keith Funeral Home in Yakima, Washington. MacNeil of Barra was the tartan of the day. I played the Scottish Highland bagpipes this afternoon for John Lincoln Booth’s memorial service at the Grandview Community Center in Grandview, Washington. MacNeil of Barra was the tartan of the day. I played the Scottish Highland bagpipes and Scottish smallpipes this evening at the Plung’s 2nd Annual Burn’s Night dinner in West Richland, Washington. MacNeil of Barra was the tartan of the day. I played the Scottish Highland bagpipes this afternoon for Staff Sergeant Nicholas J Reid’s Celebration of Life in Selah, Washington. MacNeil of Barra was the tartan of the day.